Crash Bandicoot was, for a while at least, the PlayStation’s mascot in the way that Nintendo had Mario and SEGA had Sonic. That all changed when Activision bought the licence to the wumpa-munching critter, making his exploits go multiplatform. Truth be told, it was all downhill from there. 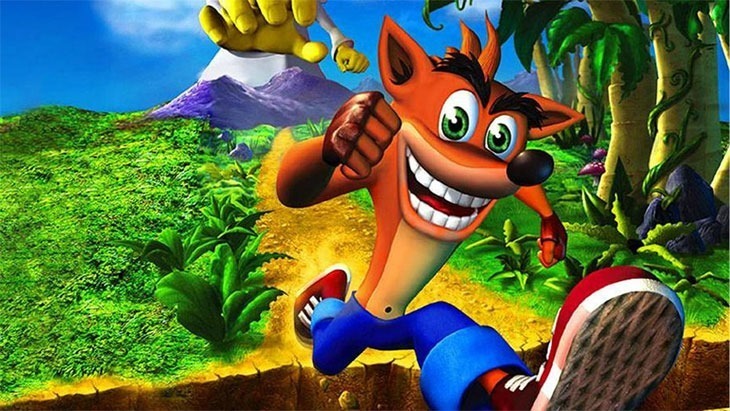 Crash Bandicoot could come back though; Sony says it’s not against the idea. In an interview, when asked about the possibility of Spyro the Dragon or Crash Bandicoot seeing a resurrection,, Andrew House said it was a possibility. I think very many of the PlayStation brand’s oldest fans would love to see one of its oldest heroes revived. Both Spyro and Crash Bandicoot are still owned by Activision. Spyro got a bit of a facelift with the first iteration of Skylanders, though the poor dragon’s mostly been dropped from the series. I have absolutely no attachment to Spyro, but Crash Bandicoot was one of the very first games I got for my PlayStation – so I’ll always love the crazy bugger. Crash Bandicoot’s last real game was Crash : Mind over Mutant which was released on PlayStation 2, PSP, Xbox 360, Wii, Nintendo DS. It wasn’t great, taking just about 4 hours to complete – hardly worth the $50 investment. If you have a PlayStation 4, and want to play something that harkens back to those old days, give Knack a go. It was nearly universally panned by critics, but I thought it was pretty good, old-school stuff. Got any other old heroes you’d like to see rise from the ashes?